Transport companies in Bristol. Transport services & haulier. 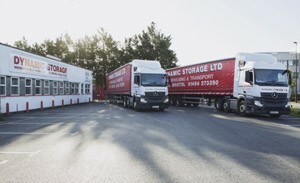 Dynamic Storage Ltd are one of the most reliable and professional road haulage and transport companies in Bristol. 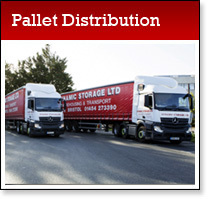 Our pallet distribution and warehouse operation is complemented by our transport services fleet of modern up-to-date vehicles, ranging from small vans to 45 foot articulated trucks. 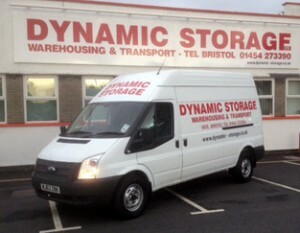 A brand new LWB transit van has just been added to our fleet, to assist with all your logistical needs. We have also recently received 2 x 2015 Euro 6 Mercedes Benz Actros 6×2 tractor units, 44 Ton gross weight capacity and as they are Euro 6’s this assists with improved fuel usage and lower emissions. Additional vehicles are being added to the fleet regularly. All our vehicles are a maximum of 3 years old and we have now had fitted Telematics to our vehicles, enabling our Transport Department to track your consignments in real time. 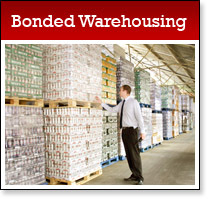 Please give us a call now for a competitive quote.